There are many things in springtime that get our gears in motion. First and foremost, the dozens of bird species who winter in Central and South America migrating through the Texas Gulf Coast corridor each spring have our undivided attention. If you’ve been following this blog even for a short time, you already know this! We only see a handful of migrants in the window of a few short weeks (weekends?) before they move on to summer nesting habitats north of us in the US and into Canada. Gotta catch ’em all. 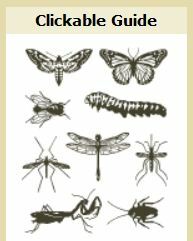 Spring and fall migration is no different for many insect species as well, especially dragonflies, beetles, and butterflies and moths. 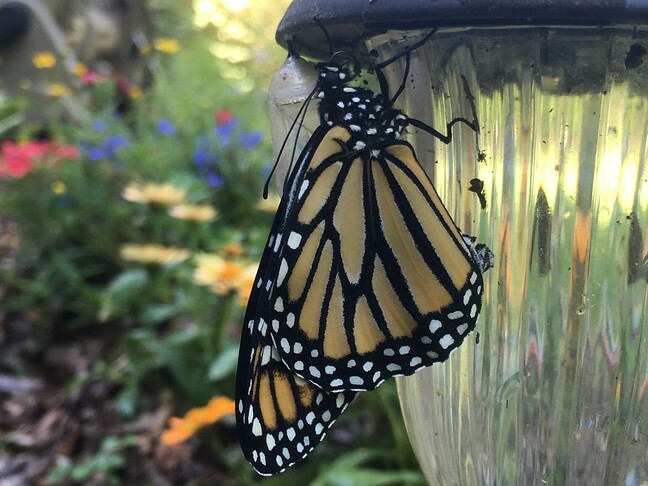 The king of butterflies — the Monarch Butterfly — has become the poster child for insect migrants as their numbers have been decreasing rapidly over the last several years. 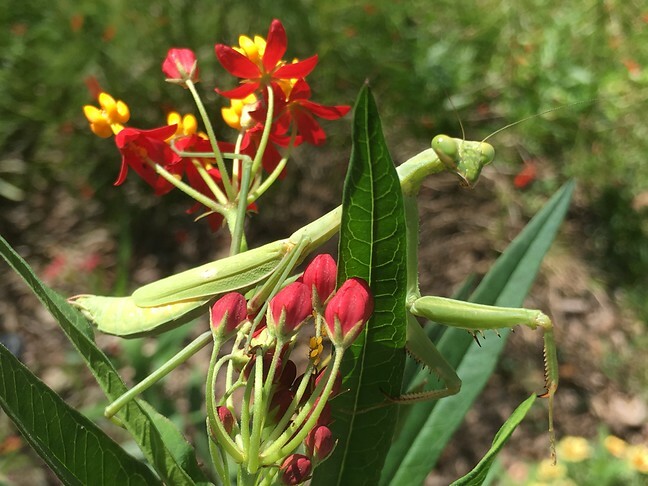 Some of us help them out by providing yard habitat — native and non-native milkweeds — for the females to lay their eggs on, their off-spring to feed on. Others of us just watch them with oo’s and ah’s as they busily flit from flower to flower in search of nectar. Migration for insects (and others) is about more than just moving around searching food and habitat; it’s about their species’ very survival, imprinted in DNA over millions of years of evolution. Annual journeys between winter and summer grounds can be thousands of miles, and these treks happen regardless of what’s going on in the human civilized facade. But migrating animals can no longer expect to find what was there only months before. In only a few decades, we have made our country unrecognizable to Nature’s dwellers. Industrial agriculture, grazing pastures, cities, and roadways connecting humanity have all but replaced the wild spaces where their food used to grow. Their evolved habitats have all but disappeared; veritable food deserts remain in their place. Back in 2014, the US Fish and Wildlife Service was petitioned to add the Monarch butterfly to the Endangered Species Act (ESA). The process of acceptance to this growing list is on-going; meanwhile their numbers continue to fall. It won’t be until 2019 when it either will or won’t be protected as an endangered species. This is the 1st of what will be four generations for the year. Let’s hope the 4th generation in autumn makes it to Mexico by winter, and that it makes its way back again in the spring, and most importantly that their species makes it onto the ESA list. Like many more of our insect friends, fellow Earthlings who share this planet, the Monarch Butterfly needs all the help it can get. Let the insect infestation begin! Lovely post. My latest learning about migration? That dragonflies do it, too. Apparently it’s a fairly recent discovery, but there are a number of similarities to the multi-generational butterfly migrations. Apparently it works out nicely for the birds that are migrating at the same time as some dragonflies — it’s always nice when lunch comes along with you! I too learned this in researching (for my elementary school garden students), and also many beetles and moths/butterflies migrate as well. Yes, funny about the migrating lunch! Did you also know that migrating Chuck-will’s-widows (night hawk family) will gobble up migrating warblers in addition to insects? Eating them whole AND alive? Sheesh! Thank you, Shannon, for reminding us of the intricate web of life that we sabotage at every turn, knowingly or unknowingly. 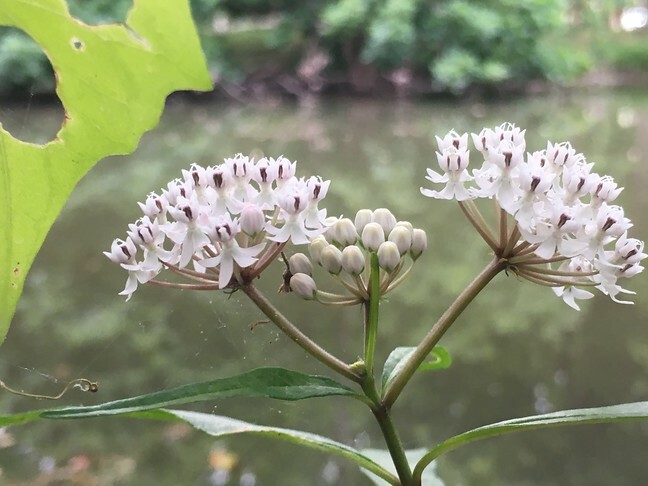 Our milkweed is starting to sprout, but what are a few plants compared to what once were vast fields of these, which are now getting chemically sterilized? 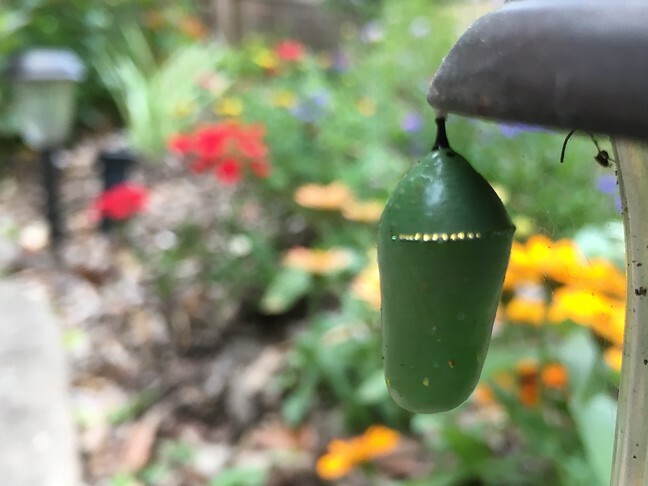 Your photos of the chrysalis and adult monarch are splendid. May we fail in our best attempts to eradicate this beautiful butterfly. My failure as a human never felt so good.